Although research has shown that deficits in various cognitive functions may underlie obsessive-compulsive disorder (OCD), studies have not yet clarified the specificity and etiology of perception processing, particularly the perception of biological motion that is correlated with social cognition. 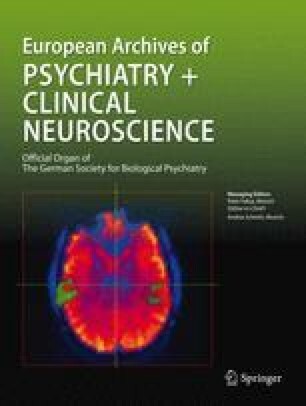 We used functional magnetic resonance imaging (fMRI) to investigate neural activity associated with the perception of biological motion in OCD patients. The subjects were 15 patients with OCD and 15 age- and IQ-matched healthy volunteers. All subjects participated in a biological motion task in which they performed a one-back task signaling a repeated stimulus with a key press in each block condition to obligate attention to both types of stimuli. The biological motion versus scrambled motion contrast revealed that both OCD patients and healthy controls exhibited increased activation of the superior and middle temporal gyrus, the regions implicated in processing of biological motion, which is consistent with previous studies. However, direct comparison between OCD subjects and healthy controls indicated that patients with OCD exhibited increased activation in the right superior and middle temporal gyrus and the left inferior temporal and fusiform gyrus, and reduced activation in the right postcentral gyrus (BA 40) compared to healthy subjects. OCD patients exhibited increased activation in the ventral visual system, including the inferior temporal and fusiform gyrus. We observed a differential pattern of activity between OCD patients and healthy controls, indicating that OCD patients have functional differences related to the perception of biological motion. The differential activation between OCD patients and healthy subjects might contribute to the pathophysiological understanding of obsessive compulsive disorder. This research was supported by a grant (M103KV010012-08K2201-01210) from the Brain Research Center of the 21st Century Frontier Research Program funded by the Ministry of Science and Technology, Republic of Korea. The authors thank Randolph Blake, Sohee Park and Jejoong Kim for developing the task of biological motion and their comments on this article. The authors also thank Yong-Sik Jung for MR imaging technical assistance and the staff of the Clinical Cognitive Neuroscience Center for help with recruitment.